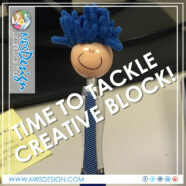 Top 5 Ways to Tackle Creative Block with a Twist! Marie’s Guide to Brain Drain Mondays! Follow this quick five-part series for a case of the Mental Monkey Monster Mondays! If you cannot get out today, try it sometime this week. Time to Tackle the Mental Monkey Monday Monster! Week 4 – IT’S THE LITTLE THINGS! Guess what today is? Monday. Yet again, we are riding the Mental Monkey Monday train to brain dead depot. Do you have the same commute, same routine and same E-mail inbox mountain? Maybe you got lucky and something different happened today – even the tiniest less ordinary moment. Did you notice it? As a firm believer in the little things, I know little things can turn into BIG THINGS! Then, big things turn into creative genius. Now, I call this the “littles concept.” Anything from tiny toys, geek gadgets, pictures or whatever you can tangibly hold or glance at sparking a happy creative giggle moment. Always, I constantly surround myself with little things – creating magic in my mind. Also, the “littles concept” isn’t something you have to do for just yourself. In addition, YOU are a participating force by uplifting creativity in other individuals MENTAL MONKEY MONDAY MONSTER. Continuously, I attempt to create a positive creative influence in another person’s life. From being cupid on Valentine’s day and launching tiny candy heart boxes to my co-workers and anonymously taping 4-Leaf clovers to monitors and desks. The point is IT’S THE LITTLE THINGS! YOU will thank YOU for it and possibly lift another’s creativity – even for a moment. This week, dig deep and dig around. 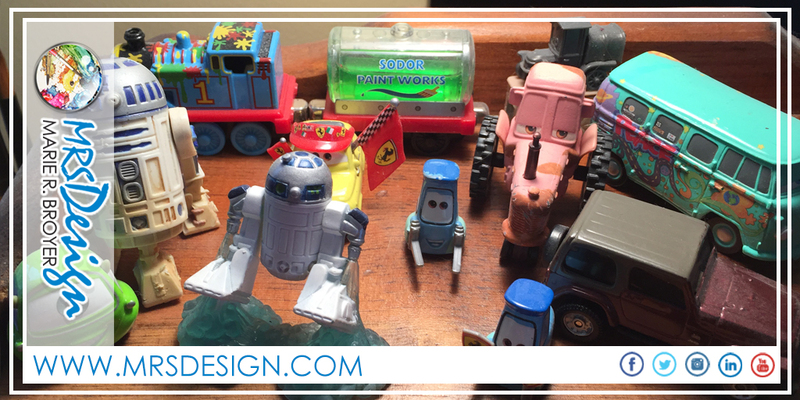 There MUST be a “little thing” to make you smile, giggle or love life to put in your work area. From tiny toys, books, pictures, pressed flowers or something your child made at school. Start by placing it in eye’s view in your workspace. Furthermore, putting it in site is IMPORTANT. By doing this, you possess the three S’s – see, stop and smile. Once you get a handle on YOUR three S’s, try implementing this strategy in someone else’s life. It might be THE one little thing making a BIG IMPACT to someone on this MENTAL MONKEY MONDAY MONSTER train! In addition, don’t leave out various thrift shops, flea markets, antique shops and garage sales. Spring is upon us and you can find little things from every generation that make you smile! *My personal definition: I am beating my head against a virtual wall and the golden egg of creativity is NOT falling out! Hello everyone, it’s my first visit at this site, and paragraph is actually fruitful for me, keep up posting these articles or reviews. Hello, all the time i used to check blog posts here in the early hours in the dawn, because i love to gain knowledge of more and more. Every weekend i used to pay a quick visit this site, for the reason that i wish for enjoyment, since this this site conations in fact good funny material too. Hello everyone, it’s my first pay a visit at this site, and paragraph is genuinely fruitful in favor of me, keep up posting these types of posts.